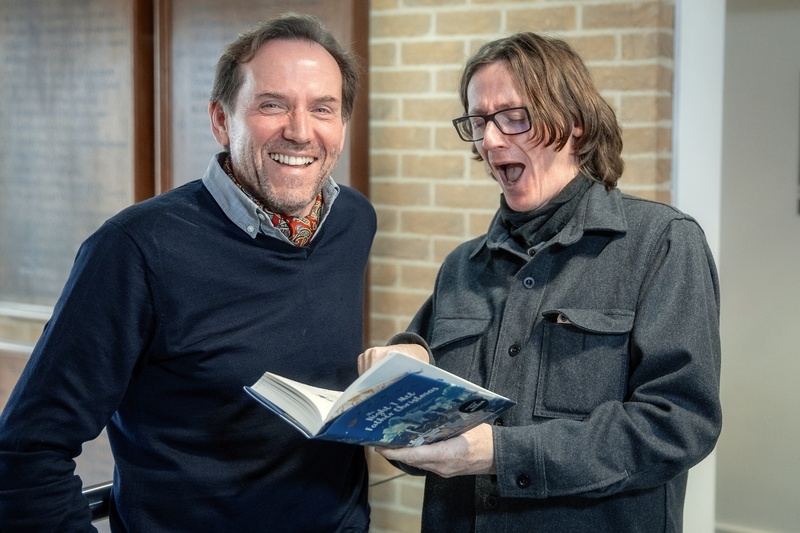 Monday 26 November 2018 saw the Stephen Perse Foundation welcome award-winning comedians Ben Miller and Ed Byrne to the school. 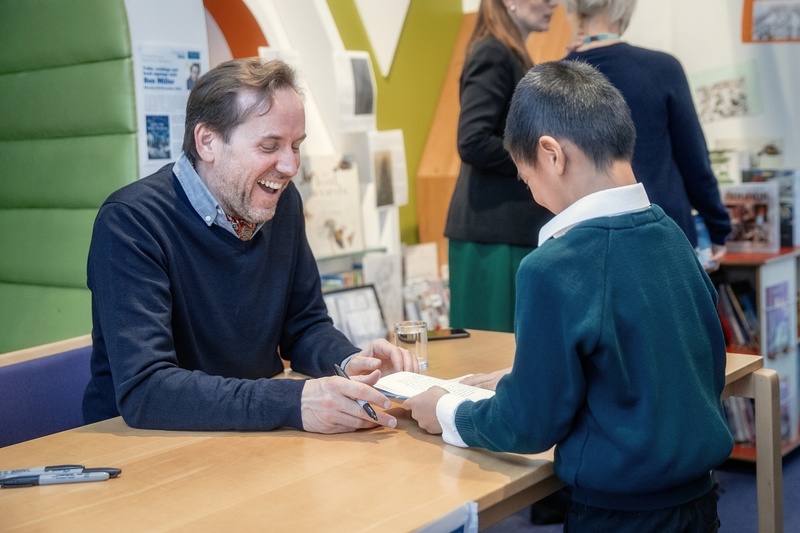 Ben had initially met some of the Stephen Perse students and staff at the Stephen Hawking Memorial Service at Westminster Abbey in June, and agreed to visit the school around the publication of his new children’s book, ‘The Night I Met Father Christmas’. 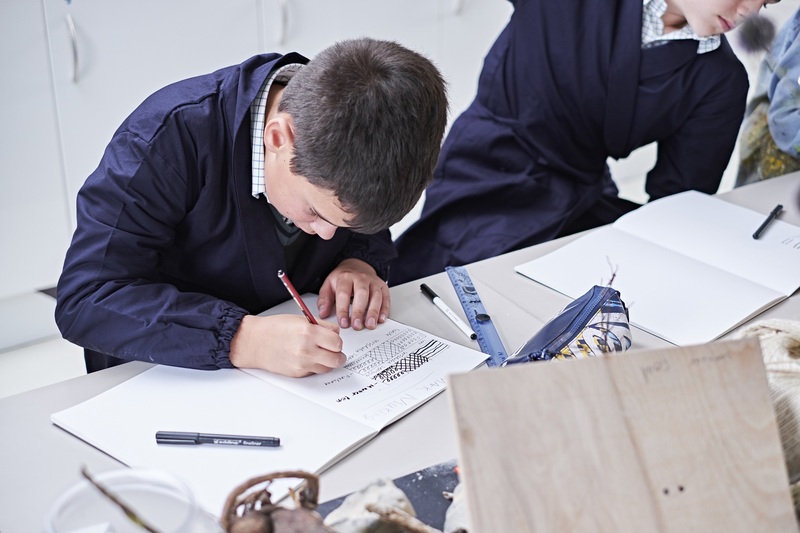 “we were all in awe at their endless knowledge and experience”. Ed and Ben then joined forces to entertain 300 students, parents and staff with a ‘chat-show’ style interview. With many a joke, they worked their way through Ben’s career. They began with his time studying Natural Sciences at St Catharine’s College, University of Cambridge, then his PhD in solid state physics. Ben discussed how being a part of Footlights at Cambridge had helped develop his comedic and writing skills, and how this led him to a career in comedy, including being one half of the duo ‘Armstrong and Miller’, and his role as Angus Bough in ‘Johnny English’ and ‘Johnny English Strikes Again’. After taking some interesting questions from the audience, and being presented with a Cambridge classic, Fitzbillies’ chelsea buns, as a thank you, Ben and Ed bid their goodbyes to the Senior School. Whilst Ed headed off to other engagements, Ben continued on to Dame Bradbury’s. He gave another engaging talk to the pupils there, again delighting them with extracts from his book. Dame Bradbury’s pupils also had the opportunity to ask questions and have their books signed. We are immensely grateful to both Ben and Ed for taking the time to visit the Foundation and inspiring students, parents and staff alike! Click here to see even more photos from the day. Photos copyright Martin Bond unless otherwise stated.